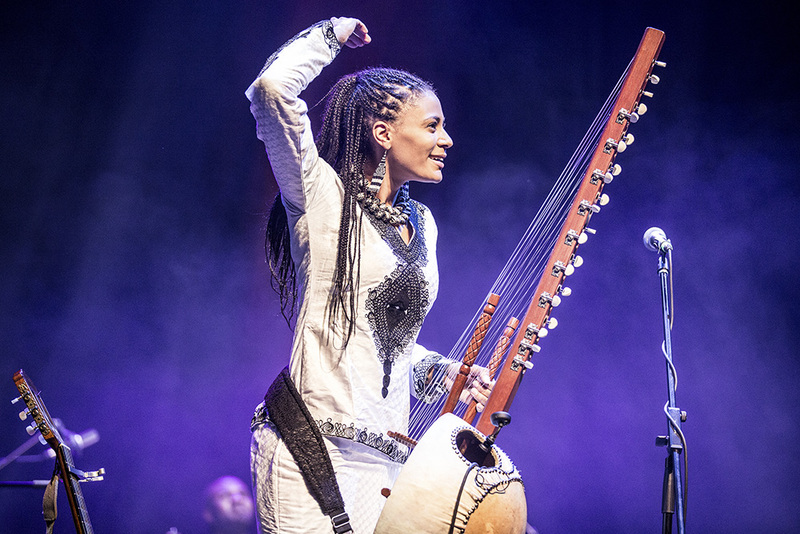 Sona Jobarteh won the prize for Artist of the Year 2018 at Europe’s largest African festival in Würzburg! The presentation of the award was followed by a panel discussion between Sona and the President of Germany regarding social affairs and development in Gambia. 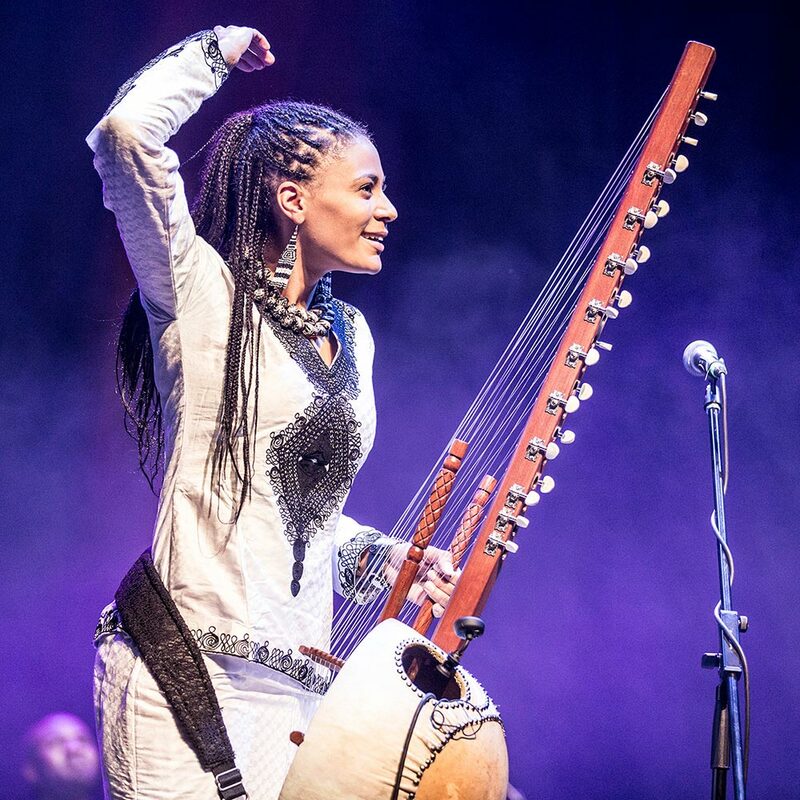 The kora – West African harp – is traditionally played by male griots or hereditary musicians, but never by women. This is the woman who decided to change the rules. Standing up while she plays, she demonstrates her elegant and intricate musicianship. Sona is also a fine singer with a cool, laid-back style, fronting a seasoned four-man afrobeat group. Her captivating voice and catchy melodies have won the hearts of audiences all over the world. She conveys messages about issues close to her heart – cultural identity, gender, love and respect – all the while staying fiercely faithful to her Gambian heritage. The kora is a 21-stringed African harp and one of the most important instruments of the Mandinka peoples in West Africa. It can be found in Gambia, Senegal, Mali, Guinea and Guinea-Bissau. Only those born into a griot family have the exclusive right to take up these instruments professionally. Sona was indeed born into one of the five principal West African griot families. Her exciting stage presence is animated by a more general raison d’etre. Sona stands firm in the fight for women’s rights, always addressing the women in her audiences directly. She is also a staunch supporter of her Gambian homeland – not merely in words, but also in deeds. She has founded a school for Gambian children to preserve her griot heritage for the next generations. Sona hired and trained all the staff herself and brought in European funding to finance a new purpose-built schoolhouse. Her continued engagement with women’s issues (e.g. FGM) and Gambian matters can also be witnessed in her work as Gambia’s representative within the World Trade Organisation and World Bank. All of Sona’s doings stem from her family. Her grandfather Amadu Bansang Jobarteh (after whom her school is named) was a master griot and remains an iconic figure in Gambia’s cultural and musical history. 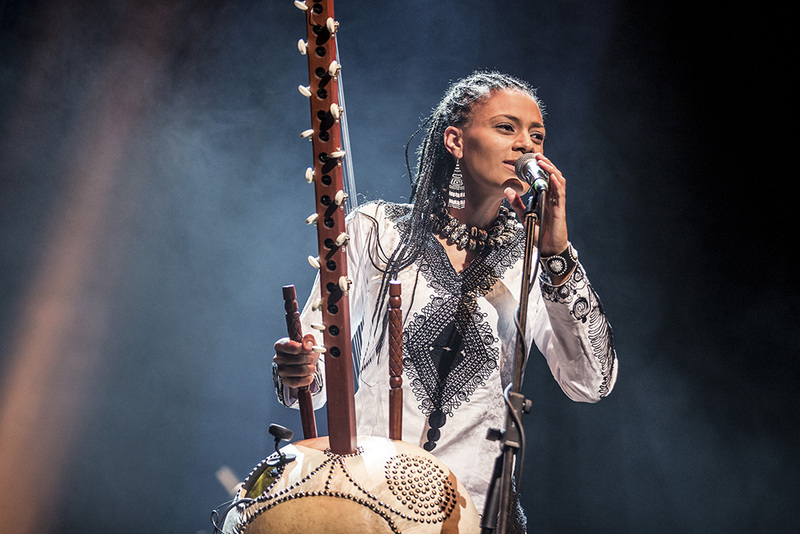 Her cousin Toumani Diabaté is also known worldwide for his mastery of the kora. Sona herself started her musical journey at a very young age – she was taught to play at the age of four by her older brother Tunde Jegede. Later, her expertise developed further under the tutelage of her father, Sanjally Jobarteh. The years spent on training in prominent UK institutions such as the Royal College of Music and Purcell School of Music, as well as playing with her brother’s ensemble as a permanent member, enabled Sona to become immersed in a world of extraordinary musical diversity and work alongside internationally acclaimed artists such as Oumou Sangaré, Toumani Diabaté, Kasse Mady Diabaté and the BBC Symphony Orchestra.